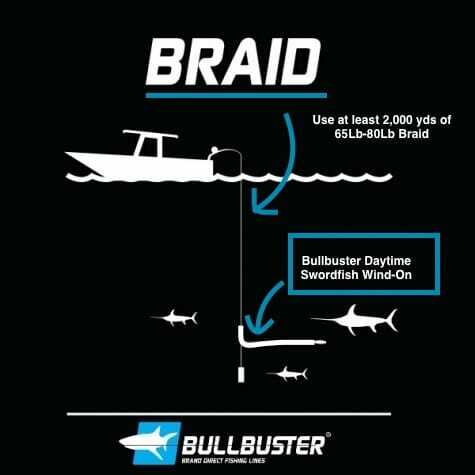 What Line Do You Need For Your Night Time Swordfish Setup? When fishing for swordfish at night you should be using some pretty heavy tackle. We recommend going no lighter than a 50 wide size reel although an 80 wide size reel is recommended. We also recommend using no less than 1,000 yards of line, since swords are famous for their blistering runs. This nigh time swordfish was tail hooked so it took a 600 yard inital run. Even though this is unsual for a fish this size, it is not unusual for a fish 3-4 times its size. We often get asked by our customers, "what line should we use for our night time swordfish setups"? We recommend spooling it reel with at least 1,000 yards of line since you will often let to need your fish run for a while. 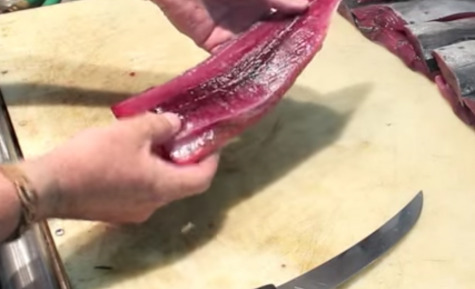 Often time a swordfishes initial run can be the most intense, especially because you cannot follow it while you are bringing all of the other rods into the boat. How Should I Rig My Night Time Swordfish Setup? Once you have added the lines recommended above it is really helpful to create a wind every 100 feet on your reel. Each floss loop can serve as a point to connect your line to a buoy. 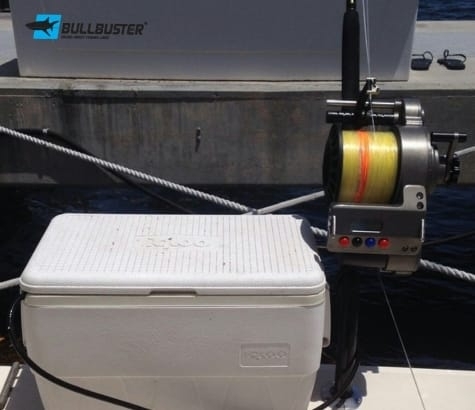 This not only makes each reel more versatile to but it will also help you in the end game with your swordfish. As the fish gets closer it will allow the angler to communicate with the crew more accurately above the whereabouts of the fish.